The purpose of this part of the website is to provide information about effective treatments for psychological diagnoses. The website is meant for a wide audience, including the general public, practitioners, researchers, and students. Basic descriptions are provided for each psychological diagnosis and treatment. In addition, for each treatment, the website lists key references, clinical resources, and training opportunities. The American Psychological Association has identified “best research evidence” as a major component of evidence-based practice (APA Presidential Task Force on Evidence-Based Practice, 2006). The pages in the blue pull down bar above describe research evidence for psychological treatments, which will necessarily be combined with clinician expertise and patient values and characteristics in determining optimum approaches to treatment. Note: This website is for informational and educational purposes. 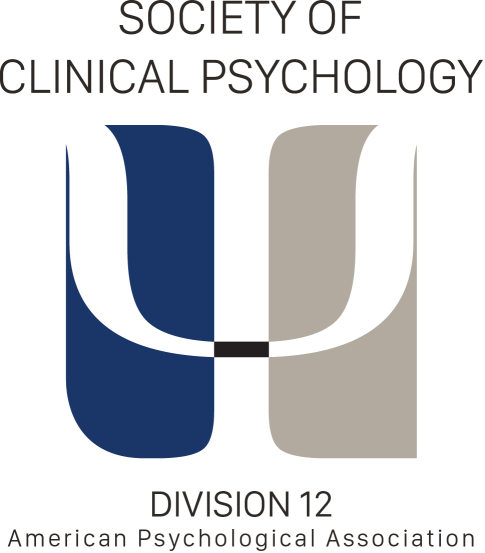 It does not represent the official policy of Division 12 or the American Psychological Association, nor does it render individual professional advice or endorse any particular treatment. We recommend a consultation with a mental health professional for an accurate diagnosis and discussion of various treatment options. When you meet with a professional, be sure to work together to establish clear treatment goals and to monitor progress toward those goals. Feel free to print information from this website and take it with you to discuss your treatment plan with your therapist. Even treatments that have scientific support will not work for everyone, and carefully monitoring your progress will help you and your therapist decide when it is time to try a different approach.